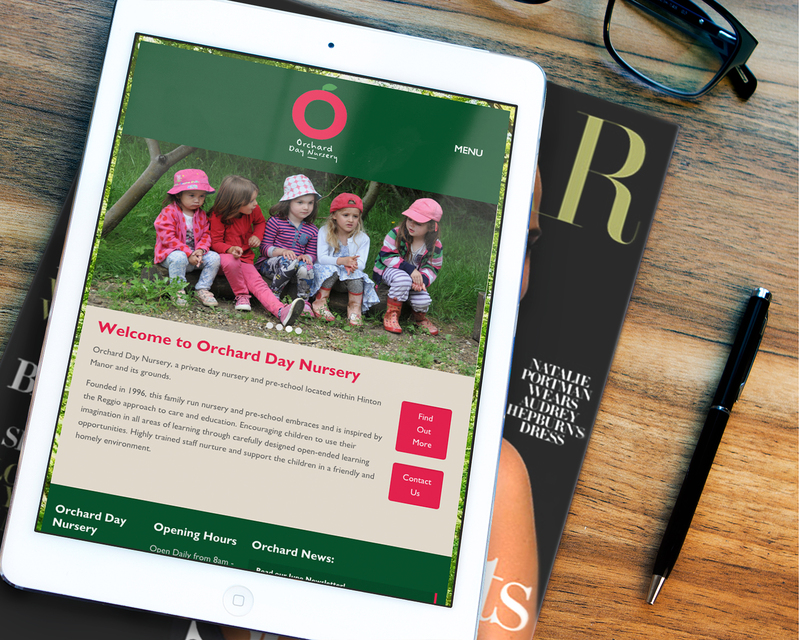 We have designed dozens of websites for nurseries and kindergartens, but when Sophie and Nick approached us for a new website for Orchard Day Nursery, we knew that their nursery was just a little bit special. 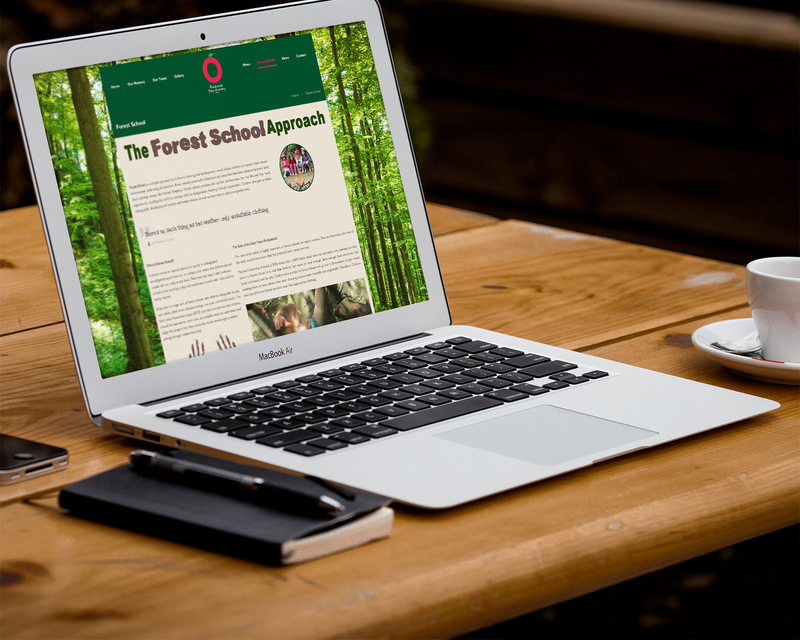 Based in a beautiful country house in Northamptonshire, their nursery makes full use of its country setting, and is a forest school. 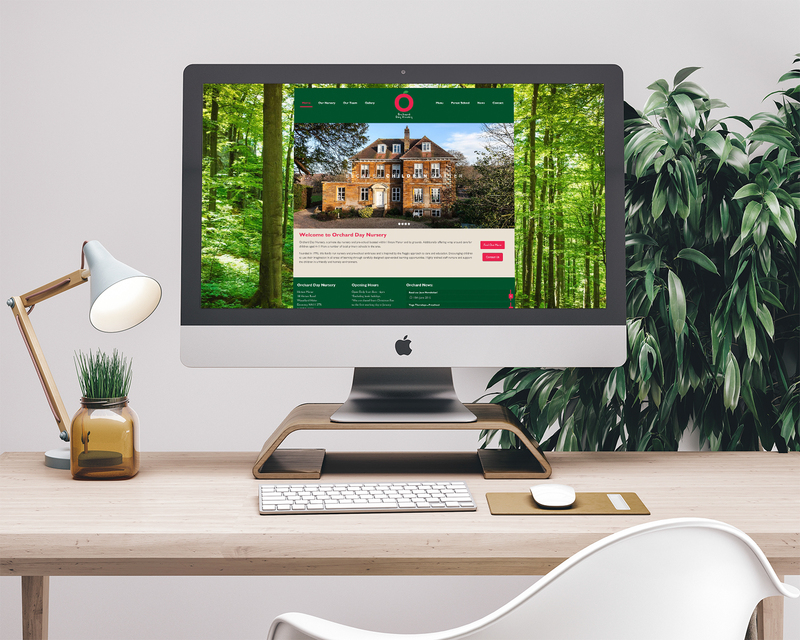 They wanted their new website to show off the house, the grounds, and their whole approach which was very much along the lines of an independent school. Orchard Nursery already had fantastic branding in place and we were happy to work with their graphic designer. The result is a beautifully simple website which shows off their fantastic nursery.